A pottery brush pot of square form with a slightly recessed base and straight sides. 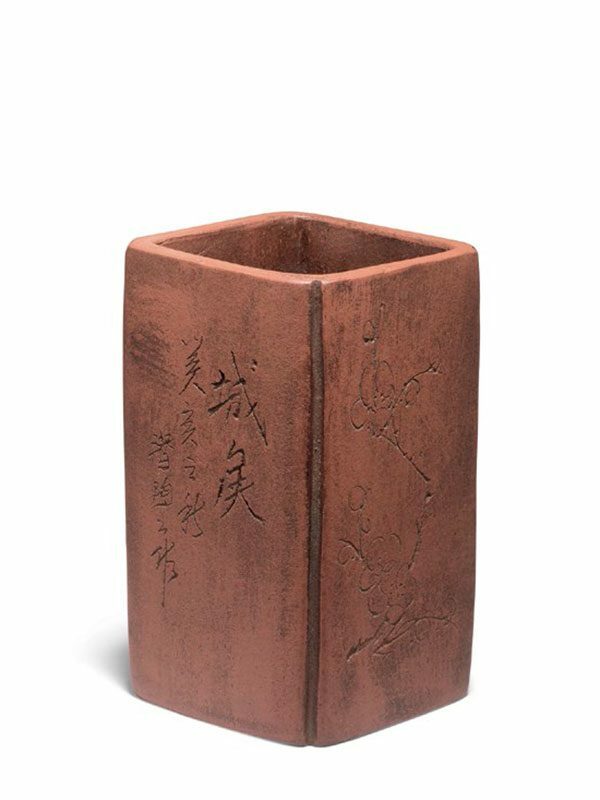 Two opposite sides are incised with a branch of plum blossom, whist the other two sides are decorated with different inscriptions. One side has a seven-character inscription Bi Hua He Yu Run Wen Zhang, literally meaning ‘pen, flower and rain would nourish an article’. The other side has three lines of inscriptions. The first line from the right has two larger characters, Cheng Mei (‘beauty of the city’). 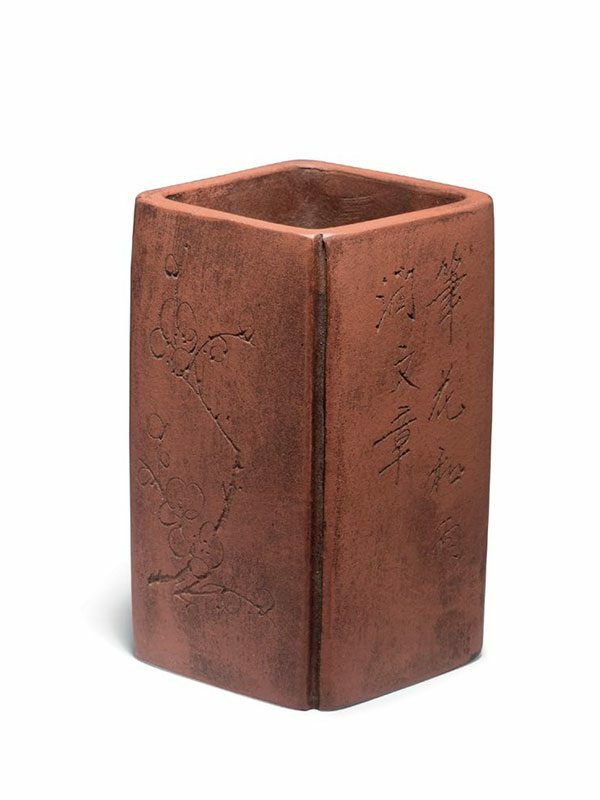 Following that are two larger characters, and a carved inscription mentioning the production year of this pot: in the autumn of the year of Kuei Hai (1923 AD). The last line is incised with the artist’s nickname Qian Tao Shi Zuo (meaning ‘made by Qian Tao’). A square seal mark impressed on the base reads ‘Tie Hua Xuan Zhi‘ (‘made by Tiehua Xuan’). The pot is of even colour in orange-red with purple hue.